Kristen is a dear friend of ours. She’s as close to family as you can get without actually being related. Her impeccable taste is responsible for some of the best music to cross my ears over the past decade, and her card-making skills are second to none. She also gave us one of the most thoughtful wedding gifts we could have ever received. We were a bit sad when she moved to England, but then she met Tom! It’s no surprise that she would marry such a rad guy. For a few years, we heard reports of a guy who loves travel & adventure, with a healthy-respect for Volkswagen camper-vans. When we finally met, Tom, with his charming smile & easy-going manner was as awesome as expected. Plus, our son idolized him for his vast knowledge of British children’s television programs. 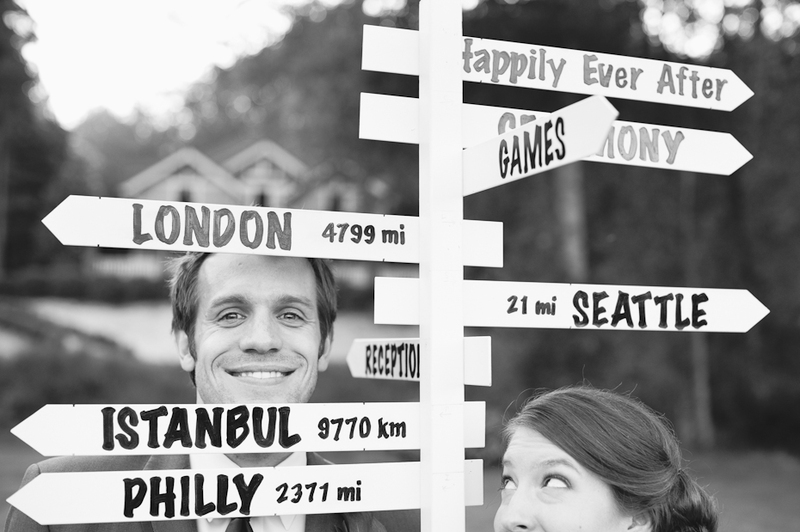 These two spent a lot of time traveling around Europe together over the past few years, so it was only fitting for them to have a travel-themed wedding celebration. Kristen & Tom, we are so excited for all of your future adventures together!